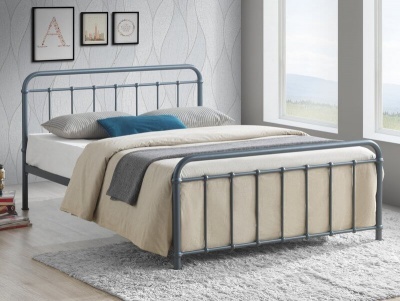 Versatile style of the Allendale bed will see you through many bedroom decor updates. Looks stunning in modern and traditional settings. 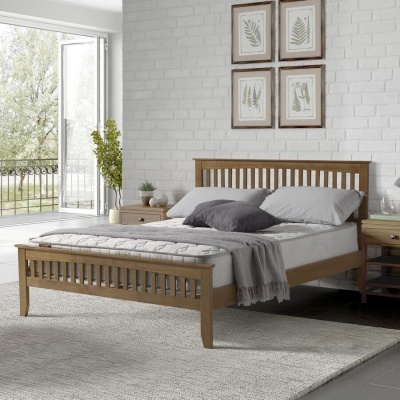 Robust chunky bed frame with a slatted headboard crafted from solid oak and oak veneers. Fits a standard UK 4ft6 double mattress available separately.